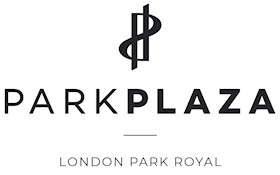 Location & Parking: Situated across from the Park Royal underground station and close to Acton and the London Borough of Ealing, the Park Plaza London Park Royal is a great starting point for exploring the best of West London. Business travellers will have easy access to the Park Royal Business Park, home of more than a thousand businesses including Diageo, Enotria, and Central Middlesex Hospital. Restaurants: Welcoming and relaxing, Westway Bar & Kitchen is open for breakfast, lunch and dinner. With simplicity at its heart, Westway Bar & Kitchen specialises in scrumptious British fare with a modern twist, all served in a cosy, relaxing atmosphere. Park Plaza London Park Royal, opening in the autumn of 2016, offers the excellent services that guests expect from a leading four-star hotel. On-site amenities include a restaurant and bar and a fitness centre. This full-service hotel in London is adjacent to the Park Royal Business Park and offers corporate travellers four well-equipped meeting rooms. Located close to Park Royal underground station, gives direct access to central London as well as London Heathrow airport. With an above-ground car park for up to 40 vehicles and coach drop-off and parking for one coach, the hotel is perfect for leisure and business guests. Guests can take a short drive to top West London attractions including the Westfield London Shopping Centre, Kew Gardens, Wembley Stadium and the SSE Arena.